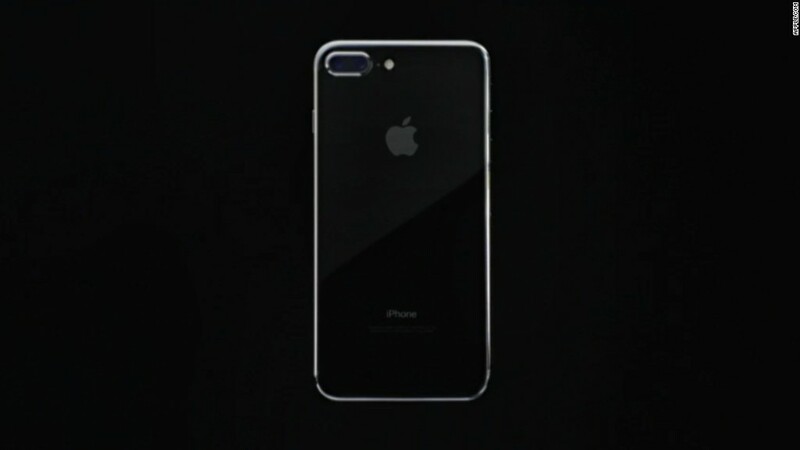 Apple (AAPL) confirmed on Wednesday that it is nixing the traditional 3.5-mm headphone jack for its new line of phones -- the iPhone 7 and iPhone 7 Plus. Or, as SVP of Worldwide Marketing Phil Schiller put it, Apple had the "courage to move on" and embrace wireless headphones. Now your headphones can either plug in to the same Lightning port you use to charge the iPhone, or connect via Bluetooth. 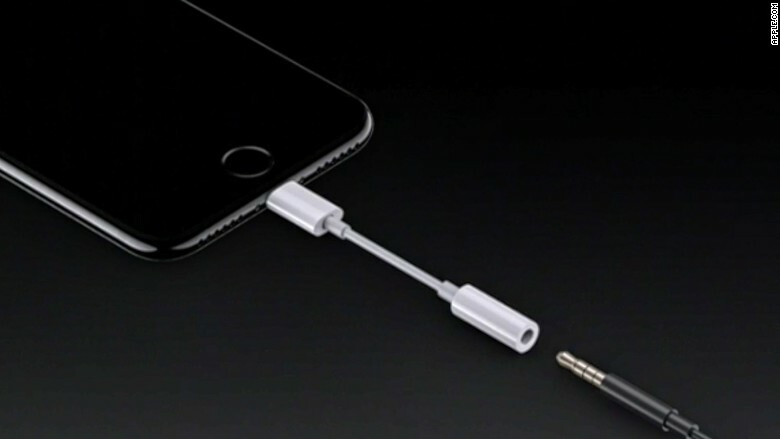 For people buying the new phones, Apple will include a Lightning adapter for 3.5-mm headphones. Apple is also releasing high-end wireless headphones called AirPods. The price for those: $159. The change, rumored for months, upends one of the few remaining universal standards for hardware devices. Until now, Apple customers could plug their headphones into any smartphone, tablet or computer without a second thought. By including an adapter, Apple may ease some of the expected outrage. But many watching the Apple launch event still expressed frustration -- some using the hashtag #courage. "Ready to not lose that dongle or pay $ for new one? Making a choice between charging your phone and listening to music #courage," tweeted one user. "Remember two hours ago when we asked how Apple was going to justify this? None of us came up with any excuse as hilarious as courage," one person tweeted. "CAN'T WAIT TO CHARGE MY EARPHONES EVERY NIGHT," tweeted another. Some people were outraged even before the official announcement. More than 300,000 people signed a petition at SumOfUs earlier this year urging Apple to keep the standard headphone jack. "Not only will this force iPhone users to dole out additional cash to replace their hi-fi headphones, it will singlehandedly create mountains of electronic waste," according to the petition. Apple has a long history of ditching features before customers are quite ready to let go. It began removing the Ethernet port and disc drive from computers as customers started to shift to WiFi and digital media, respectively. Apple set off a similar wave of criticism in 2012 when it redesigned the Lightning connector, instantly making countless accessories obsolete. Apple's fix: offering customers adapters -- for $30 a pop. Some headphone makers adopted a wait and see approach in the leadup to the iPhone event. "We don't have anything prepared for the new jack that Apple has. It's going to be some time before that happens, if that happens," David Walton, a spokesman for JVC, said on Tuesday. But Walton and others played down concerns from the switch, noting it would likely help sales of Bluetooth headphones. Related: Super Mario coming to Apple's App Store! "Sennheiser has seen many different connection standards come and go in the audio world over the years," said Daniel Sennheiser, co-CEO of Sennheiser. "Digital outputs, such as Apple's Lightning Connector, will offer new opportunities to take a step forward and to further enhance the sound experience for the customer."